Matt Miller spent his life traveling the world and capturing his experiences on film. Seven continents and 76 countries later, Matt's photographs capture the true essence of each location, its people and wildlife. In 2012, Matt was diagnosed with Amyotrophic Lateral Sclerosis, more commonly know as Lou Gehrig's disease. 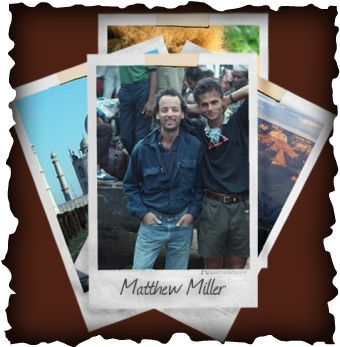 Matt wanted to share his photographs with the rest of us, so The Matthew Miller Foundation was created to provide these photographs to the world. All proceeds from the sale of these photos go to our charities. Click to see pictures of Matt from around the world! Special Thanks to: Kyle Bagenstose for writing the article!